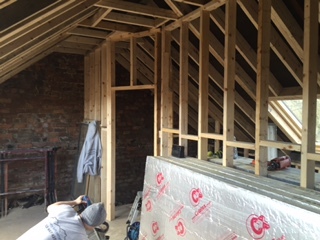 Mr McGregor of Newcastle, contacted us via Checkatrade as he was looking to get a luxury loft conversion. He also wanted a garage built to the rear of his property. He’d already drawn up his own plans, so we put him in touch with our architect. Together they then got all of the plans completed to a professional level and then submitted to the Council. 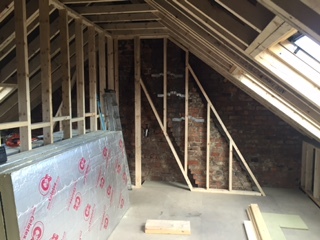 The customer also then wanted to come down to a loft conversion job we we had virtually completed in Tynemouth. 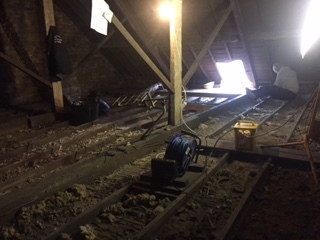 He wanted to see the quality of the loft and to see how we worked on a conversion project. 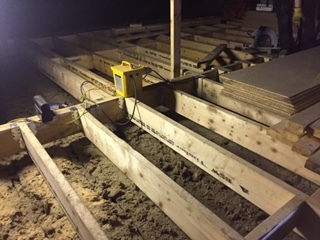 We are always happy for a customer to do this wherever it is possible. 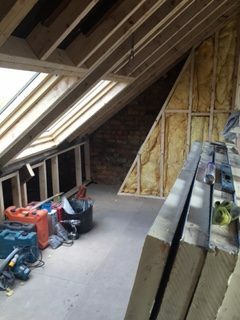 Mr McGregor didn’t need planning permission for his loft conversion as it was a roofline, Velux conversion, and so didn’t change any of the main structure of the roof. This will normally be the case for loft conversions in the North East and Newcastle. 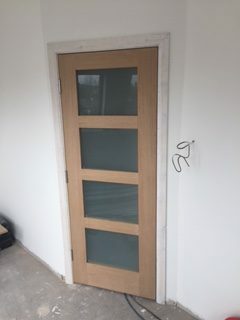 The windows were slightly larger than the normal Velux windows that we use, due to the height available for this conversion. This posed no problem for us and everything went smoothly. We transformed the space into 2 Bedroom’s, consisting of a master bedroom at the rear and a smaller bedroom at the front of the loft. 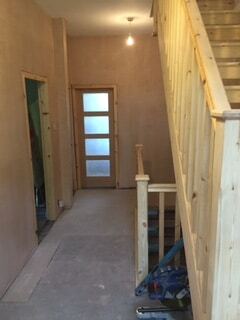 We boxed around the chimney breast in each room to make a feature of them, as requested by the customer. 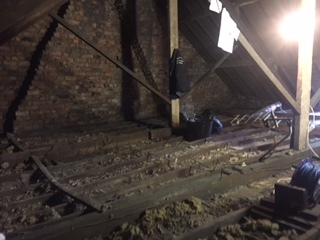 Mr McGregor was very involved at every stage of the loft conversion which suits the way we work so we can ensure that the customer is happy with progress and how things are heading. 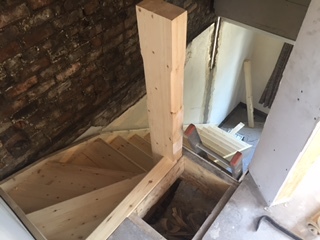 The customer also decided he wanted to change the standard staircase to an open-rise staircase midway through the project. 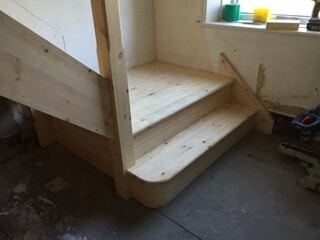 This posed no problem for us and we installed the oak, open-rise staircase which allowed more light into the area. 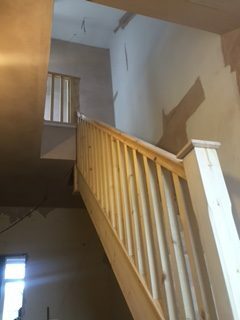 As we were completing the staircase we were asked to continue with the hallway area and re-plaster all of the walls, fitting a new floor, fit new door frames and some very nice, solid oak fire rated doors throughout. 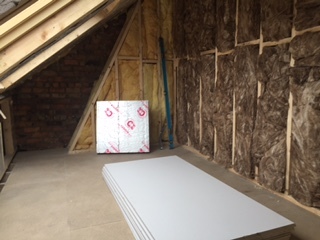 The garage was a simple, straight forward build as the customer only wanted it for storage and for a vehicle and didn’t need any electricity – similar to other garages and loft conversions in Newcastle and nearby areas. Plastic windows and a glide-roll, roller shutter door. 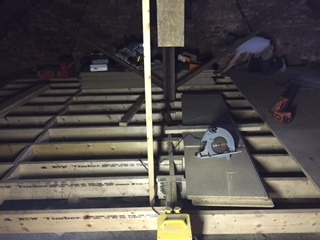 We fitted a rubber roof, as we do with all of our work – giving a 25 year manufacturers warranty and a life expectancy of 50 years. 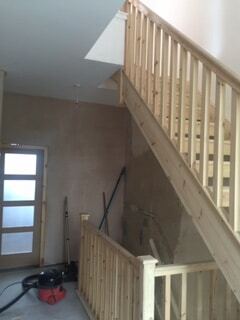 As always, all work completed by The Luxury Loft Company comes with a 10 year guarantee.